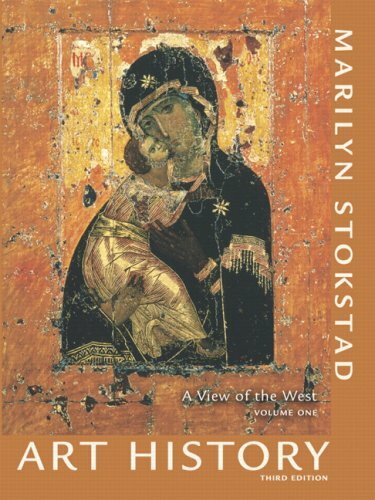 Art History Portable Edition by Marilyn Stokstad offers exactly the same content as Art History, Third Edition but in smaller individual booklets for maximum student portability. The combined six segment set consists of four booklets that correspond to major periods in Western art and two that cover global art. Each book is available individually, making them ideal for courses focused on individual periods. The African diaspora—a direct result of the transatlantic slave trade and Western colonialism—generated a wide array of artistic achievements in the past century, from blues to reggae, from the paintings of Henry Ossawa Tanner to the video installations of Keith Piper. Richard Powell's study concentrates on the works of art themselves and on how these works, created during a time of major social upheaval and transformation, use black culture as both subject and context. 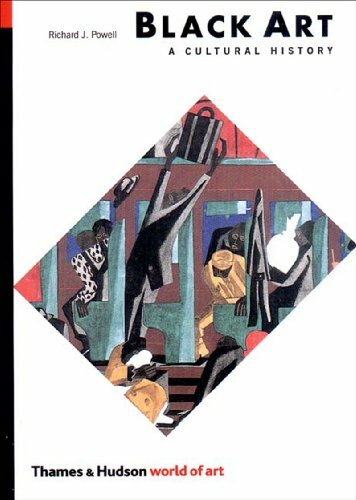 From musings on the "the souls of black folk" in early twentieth-century painting, sculpture, and photography to questions of racial and cultural identities in performance, media, and computer-assisted arts in the 1990s, the book draws on the works of hundreds of artists including Jean-Michel Basquiat, Romare Bearden, Elizabeth Catlett, Lois Mailou Jones, Wifredo Lam, Jacob Lawrence, Spike Lee, Archibald Motley, Jr., Faith Ringgold, and Gerard Sekoto. This revised edition includes expanded coverage of video art and a new chapter that discusses work by a number of artists who have risen to prominence in the past five years, such as Chris Ofili, Kara Walker, and Renée Cox. Biographies of more than 170 key artists provide a unique art-historical reference. that are awe inspiring,thought provoking and very skilled. Regardless, I only have one bone to pick with the book. it, nevertheless. Other than that... it's a great book! And well worth being in any collector's hands. Art History presents a broad view of art from prehistory through the Gothic Age, it sympathetically and positively introduces the works of all artists. This includes women, artists of color, and the arts of other continents and regions, as well as those of Western Europe and the United States. Broad in scope and depth, this beautifully illustrated work features art from the following time periods and places: prehistory; art of the ancients (Near East, Egypt, the Aegean, Greece, Etruscan, and Roman); early Christian, Jewish, and Byzantine art; Islamic art; early Medieval European art; Romanesque art, and Gothic art. Marilyn Stokstad has been introducing the history of art to students and to the public for more than forty years, nurturing an educated, enthusiastic audience for the arts. She firmly believes that everyone can and should enjoy their introduction to art history. Only then will they learn to appreciate art as the most tangible creation of the human imagination. I bought this book brand new. I loved the paperback, but was dissapointed that the hardcover, which included both volumes, was only a little more than the single volumed paperback. For one or two semester Introductory Art History Survey courses. This handbook is designed to accompany the major textbooks used in the art history survey, presenting various methods for analysis of art as well as extensive tips on writing about art. Professor Anne D’Alleva created this handbook to accompany the major textbooks used in art history survey courses. Because the main survey texts focus on the artworks themselves, she saw the need for a complementary handbook that introduces students to the methodologies of art history in an open, accessible way. Look! discusses basic art historical practices, such as visual and contextual analysis, and provides guidelines for writing papers and taking examinations in art history. It provides a short history of the discipline and provides links to related academic disciplines to provide students with a sense of intellectual context for their work. 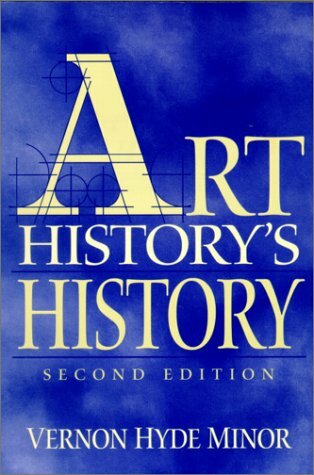 Easy to read, seems to offer somewhat valuable information on art history. Very specifically focused on college art history students, although it would probably work fine for many high school courses. I purchased it for a class and considering the price, it seems worth it. In the past, I have assigned either Barnett or Tucker for my undergraduate art history classes. I plan on switching to D'Alleva's text. Its lively, smart, and well written. Great references and bibliography as well. Written in jargon-free, reader-friendly language, this is one of the first volumes to make art historical theory accessible to those at the introductory level. A review of contemporary theory of art history provides readers with lucid prose and concrete examples. Discussion of eighteenth- and nineteenth- century theories that are important to art history offers readers a review of historically important issues in philosophy. Illustrations of well-known works of art show readers how theory has application to images. Art historians and educators. 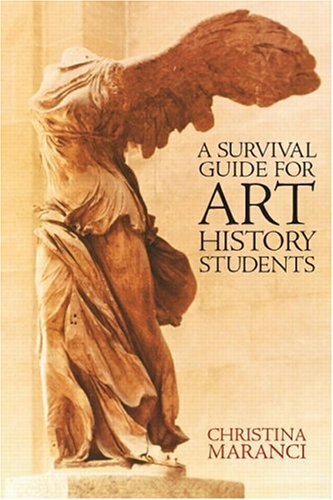 Great book for beginning Art Histroy Graduate students. This book was required reading for my graduate Research Methods and Writing course. 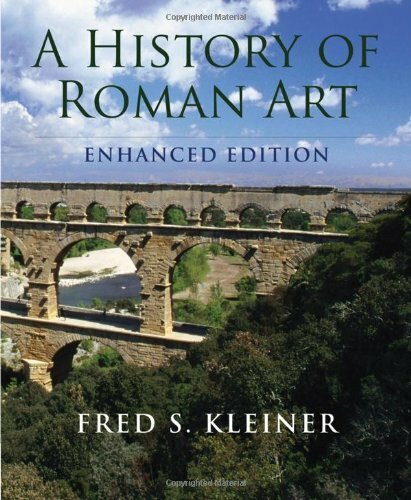 We used it in conjunction with Donald Preziosi's the Art of Art History. The combination of the two books is a great resource for anyone entering their MA in Art History. Art History's History is a helpful overall review of the different time periods. It is a good resource for reader-friendly art historical writings. Horrible seller. Who knows if the book is any good... it hasn't got here!!! I ordered this book January 25 and was told it would ship on January 27 in 3-16 business days. I live in Alaska so I assumed it might take the full 16 days.It is now February 26, a full 31 days (23 business days) and I still do not have the book I need to write mid-term papers.Last week when I inquired about my purchase the seller left a snide comment "From experience, packages often take a lot longer to get to Alaska" Being that I live in Alaska and frequently shop online, the only time it takes a lot longer for things to get here is when the seller doesn't care about providing customer service. This book was my first purchase on Amazon and I'm very happy with it. At first I wasn't sure of buying on internet and stuff but I decide it worth a try and took a chance on Amazon. I recieved the book in less than a week even though I order it standard.The book was in good conditions and I totally recomend this seller. Minor has undertaken the impossible. Any historiography that is limited to 200 pages will undoubtedly be overly reductive. However, this does not entirely discredit Minor's work. While one may take issue with him in a number of places (particularly his chapter on feminism) he provides a generally well-balanced, user-friendly introduction to theories of modern scholarship. Minor is very cognizant of his own fallibility. He recognizes that his sketches of modern methodologies are inadequate. But he provides the necessary background for anyone who wishes to understand the state of contemporary art history. At the conclusion of this book the reader is left unsatisfied. Yet I think that this may have been Minor's intent (I realize I am being a terrible deconstructionist). His aim, rather, seems to be to ignite an interest in students of art history, that they might, of their own volition, continue their study of art historical methodologies. If this is indeed Minor's aim, he succeeds. Know around the globe simply as “Janson,” Janson’s History of Art has introduced generations of students and scholars to the history of art, and has inspired millions of art lovers. This is the first concise version of the text to be thoroughly rewritten by a headline-making team of six distinguished experts. Richly illustrated and updated throughout, this classic provides an inviting exploration of 30,000 years of Western Art. 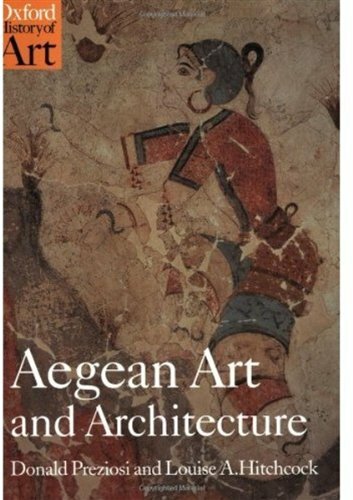 This edition uses an exceptional art program––with sumptuous color pictures––to introduce readers to a succession of art styles from prehistoric times and ancient Egypt, to the vast world of Western painting, sculpture, architecture, photography, and the minor arts. Elegantly written, it contains a balanced and interesting narrative that increases one’s ability to understand art, even as it encourages further exploration into the vast and rewarding topic. I have to say that the textbook that I ordered was great. The price was much cheaper than other sites and the quality of the book was in excellent shape. I recommend everyone to order used products from Amazon. 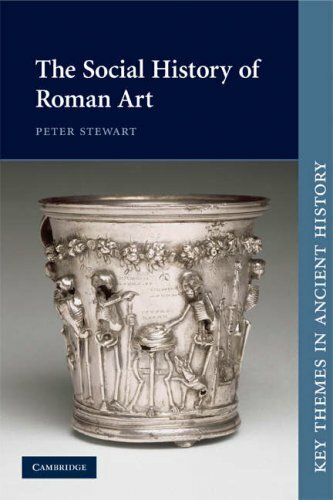 I use this book as the primary text in my class on Roman Art and Archaeology.While it has largely an Art Historical bent, it is still the best, most comprehensive book that is currently available (I switch from Strong's Roman Art that pre-dates this text by a few decades). 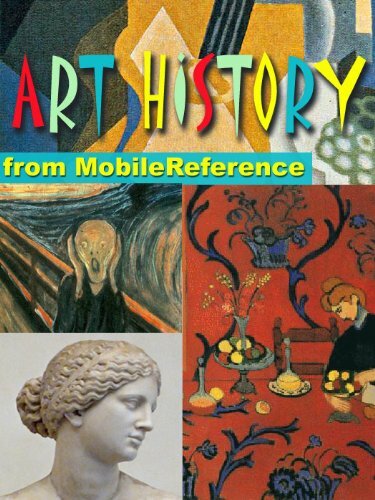 An illustrated comprehensive Art History Guide from prehistoric to postmodern periods. Navigate from TOC or search for words or phrases. FREE Prehistoric Art chapter in the trial version. Audience: Intended for everyone interested in art history, particularly undergraduate and graduate students and advanced high school students. Detailed explanations of each period. MODERN ART: Overview | Impressionism: Art Movement, Édouard Manet, Paul Cezanne, Edgar Degas, Pierre-Auguste Renoir, Claude Monet | Post-Impressionism: Art Movement, Georges Seurat, Vincent Van Gogh, Paul Gauguin, Henri de Toulouse-Lautrec | Fauvism | Expressionism | Cubism | Surrealism | Dada | Futurism | Suprematism | Constructivism | Abstract Expressionism | Pop art: Art Movement, Richard Hamilton, Jasper Johns, Andy Warhol, Roy Lichtenstein, Robert Rauschenberg. 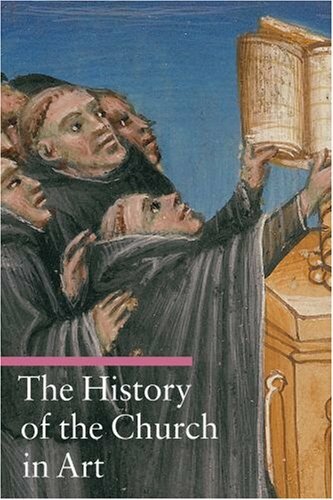 In this richly illustrated volume, Rosa Giorgi argues that because much of Western art depicts key events, leaders, and practices in the history of the Christian Church, knowledge of that history is critical to an appreciation of many of our great masterpieces. Giorgi ranges from the artistic representation of liturgical objects, including altars, crosses, and censers, to the vestments of the variety of clerics, to devotional practices documented in paintings depicting prayer, communal meals, funeral rites, religious processions, and cult practices, to artworks that capture important episodes from the Church's history and portraits of the Church's great leaders. 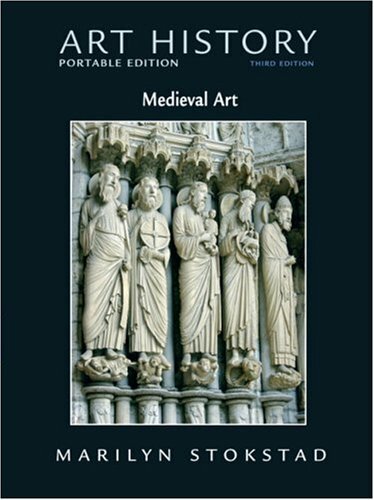 As someone who has an art history degree, I find this entire series (Guide to Imagery) a fantastic reference source for people of all interest levels.The books are broken up into sections for easy reference.For example, this book had a section on all of the artifacts used during a mass.They define the item and its use, and then give examples of that object in an artwork. "Art" has always been contested terrain, whether the object in question is a medieval tapestry or Duchamp's Fountain. But questions about the categories of "art" and "art history" acquired increased urgency during the 1970s, when new developments in critical theory and other intellectual projects dramatically transformed the discipline. The first edition of Critical Terms for Art History both mapped and contributed to those transformations, offering a spirited reassessment of the field's methods and terminology. Art history as a field has kept pace with debates over globalization and other social and political issues in recent years, making a second edition of this book not just timely, but crucial. Like its predecessor, this new edition consists of essays that cover a wide variety of "loaded" terms in the history of art, from sign to meaning, ritual to commodity. Each essay explains and comments on a single term, discussing the issues the term raises and putting the term into practice as an interpretive framework for a specific work of art. For example, Richard Shiff discusses "Originality" in Vija Celmins's To Fix the Image in Memory, a work made of eleven pairs of stones, each consisting of one "original" stone and one painted bronze replica. In addition to the twenty-two original essays, this edition includes nine new ones—performance, style, memory/monument, body, beauty, ugliness, identity, visual culture/visual studies, and social history of art—as well as new introductory material. All help expand the book's scope while retaining its central goal of stimulating discussion of theoretical issues in art history and making that discussion accessible to both beginning students and senior scholars. you will find books such as this one.A Ph.D. is not required to understand it, but it will give you an intellectual workout, as it is not a beginner's handbook. You need to have read some art history (beyond the "what, where, when, who" level), and some art criticism, to see the rationale behind its chapter headings. It is also not a book about works of art as such, but about the special terms and concepts used in current interpretive writing on the "fine" arts (primarily arts of Western European derivation, but the contributors are sensitive in handling the cultural bias of their sources). ALL of the authors are distinguished authorities on the topics they discuss. 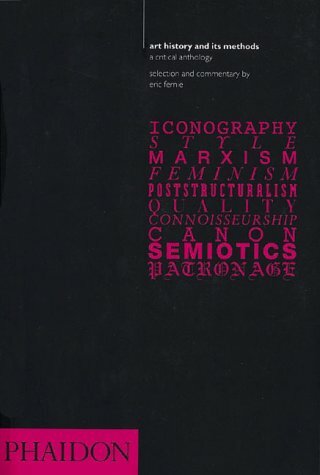 I think it is a strength of this book that they do not share a homogeneous intellectual background, or ideological bias, and also that they are not all the same age, but made their greatest contributions at different points in the recent (roughly, between 1970 and 1990) "crisis" of art historical writing. The most useful feature of this book, to my mind, is that it provides carefully argued contextual analysis of critical terms which either 1) have a long history of use (and therefore need unpacking before we can grasp the "unconscious"--sometimes contradictory--values they impose on the works to which they're applied), or 2) have been recently introduced to enable an informed critique of traditional art history.The cumulative effect of the various essays is to demistify some of our more cherished assumptions about the value of art: its timeless messages, its inspired origins, its spiritual uplift, its higher expressiveness/beauty/perfections. In other words, if you hope for a "feel-good" treatment of art critical standards, this is not your book. And yet, if you can accept that making and using works of art are social activities, and like the other products and customs of human societies, are constantly in flux even as they depend for their existence on inherited techniques, formulas, and ideals, then this book will provide a wonderful "relief map" of the intellectual foundations of current art history/art criticism. Most of these essays are written by extremely prominent art historians and critics, such as WJT Mitchell, Homi Bhaba, the late Michael Camille, Jas' Elsner, and Nina Kallmyer. Each writer explores a "charged" term currently used in art criticism, such as "representation," "social art history," "ugliness," and "beauty. 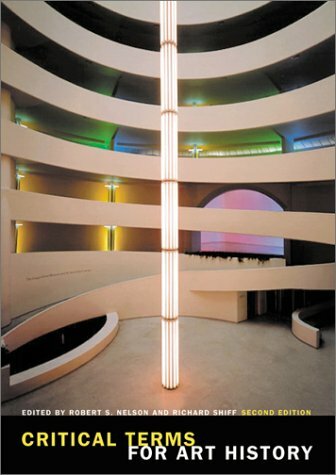 "In each essay, the writer explores the meaning of the term by applying it to a single work of art.Though the essays vary in difficulty, each is ultimately very rewarding.Highly recommended for anyone interested in the nuts and bolts of art criticism.An absolute must for journalists, art critics, and students. This book does present scholarship that uses and (sometimes) defines a variety of themes and approaches to art criticism, but most of the writings are highly esoteric, randomly selected, and not always focused on the visual arts.If you don't already have a solid understanding of concepts like "Post Modernism" and "Commodity" don't expect any clear answers here. This is less of an explanatory textbook-type work, and more of a compilation of modern critical writing.Pre-requisite: PhD. If you interested in reading about particular themes in contemporary art. This book covers a whole slew of art crit terms. Each individual term is explored by its own essay. Each essay is written by a different author (mostly in the 80s and 90s). These essays are around 14 pages long, so these terms are explored rather in depth. The writing is so thick in this book it takes a good chainsaw to hack through 'em. But the effort is well worth it. My favorite essay so far is the one on Simulacrum. The discoveries in Crete, Greece, and the Aegean islands that began a century ago were nothing less than stunning, and seemed to give shape and substance to tales of the Minotaur and the Labyrinth, of Theseus and Ariadne, of Minos and Icarus.Ancient Aegean Art is the first comprehensive historical introduction to the art and architecture Crete, mainland Greece, and the Cycladic islands in the Aegean, beginning with the Neolithic period, before 3000 BCE, and ending at the close of the Bronze Age and the transition to the Iron Age of Hellenic Greece (c.1000 BCE). Delivery was super quick for this item and I got it in time for my classes.Hard part now, I have to force myself to do the readings... haha.Thank you! I studied and taught African art before this text existed, using mainly exhibition catalogs and theme-based books such as Frank Willet's "African Art." This book presents the information found in those sources in a single source. It moves around the continent by geographic area, which is the way African art is usually taught, so it is easy to adapt to a course. It is readable without dumbing down. Students like it. Beyond the classroom, it is a good reference source because it includes information about so many ethnic groups--far more than a single course can cover. I have a few criticisms. For one, I would like to have a more continuous thread in the treatment of non-Islamic art of Northern Africa. In the account of material from Zimbabwe, I would like the authors to mention Peter Garlake's interpretations of Great Zimbabwe and rock paintings. Visona et al. illustrate a rock painting that Garlake calls "The great recumbent figure of an archetypical trancer" (The Hunter's Vision, pl. XXXII). While Garlake makes a persuasive argument that paintings such as this reveal substantial continuity with the modern-day San, Visona et al. simply say that the painting is too old to interpret. They shouldn't disregard the views of the preeminent scholar in the area. Also, I wish the components of the captions were more clear, such as by following the example of the Metropolitan Museum of Art.It would help to use the term "peoples" after ethnic groups so that the ethnonyms are easier to distinguish from from place names, etc. They could include the names of major groups along with the subgroups in the captions, as the Met does--for example Kota peoples, Hongwe subgroup. That would help to unify the style areas. There is usually a place in the text that clarifies the groupings, but it would help to do so in the captions, too. 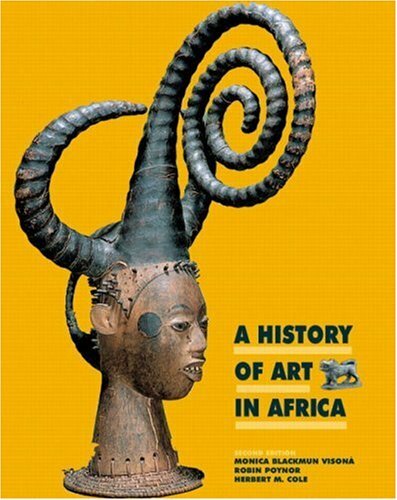 Still, the book is an excellent introduction to African art by prominent scholars. hated the book, hated the class i got the book for and hated the teacher even more. so i guess the book was the best thing out of the process. The good thing about this collection is that it includes art and architecture from not only all regions of the continent, but also of the African diaspora from the 16th Century onward. The other good thing is that it includes architectural works, such as those of Great Zimbabwe, Lalibela, and Djenne. The bad point of this book is that the selections are limited.For example, the art of the Nok (the oldest African art outside of the Nile Valley)includes only a few pieces. The worst thing about this collection is that nearly all of the photos are in black and white.It's difficult to appreciate art of such a vibrant nature (with the exception of photography) without colour. A review of "Art History and its Methods"
Griselda Pollock, Feminist interventions in the history of Art, 1988. It is an excellent anthology, but it lacks colour plate images. Since it is a book about methods in art historical practice, the focus is much more directed to looking at texts. Yet, there are a few black and white images printed in the book that provide examples of the works being discussed.However, I would forfeit my desire for colour plates in light of the affordable price (appx. $30 for almost 400 pages of quality reading) and its promise for longevity for being an oft-consulted book for a serious art historian.I am not sure why Fernie decided to omit the footnotes of the original essays, which makes this only a lead-in to the original texts.I would also like to see Fernie add more contemporary essays with subsequent editions, as the latest date of the essays included is 1993 (recent only in light of the 1995 publication date). The theories shaping the widely varied practices of of art history are highly contested, often misunderstood, and a `hot topic' in many schools of academia.Eric Fernie has collected some of the most interesting writing, from the Renaissance to the contemporary, about methodology in the practice of art history, introducing each of the essays with a brief summary of its contents. Fernie's considerable ability to summarize and contextualize key points of dense texts in a thoughtful and accessible way makes the reader look forward to diving into this carefully laid out anthology of 27 classic texts about methodology in the arts (like Heinrich Wolfflin's 1915 "Principles of Art History" or Giorgio Vasari's 1568 "The Painter's Book").Also included in this book is a useful and critical glossary of terms, written by Fernie.Demonstrating the wide variety of approaches taken by serious scholars over the ages, Fernie illuminates the rhizomatic way in which the discourse of art historical practice has unfolded over time, sometimes following an evoluting line of developing thought, but sometimes showing how relatively `new' ideas appear and disappear into the folds of culture's eternal mutation. Fernie is likely trying to reach academic readers instead of a popular audience, but more specifically, he is likely trying to reach post-undergraduate-level academics.This idea rests on the observation that the content of the essays are quite serious, as wellas being of the kind of historical overview that nonacademic, and even many undergrad students, in my opinion, might find difficult to put into perspective unless they have a solid background in both cultural and art history.This book is definitely not for everyone. Those seriously interested in art history, criticism, theory, the history of ideas, or research methodology would find this book most interesting.People who are looking for juicy images, coffee table classics, or simplified interpretations of classic art need not open this book, unless they want to challenge their understanding of how history, methods of enquiry, and the subjectivity of the self inform higher-level understanding of art and art history. Fernie's book is indeed a little gem, a compilation of most of the major players and critical thinkers that shaped the discipline of Art History as we know it today. The format is user-friendly, with an excellent table of contents, select bibliography, and index. The glossary in the back provides definitions that are indispensable for beginners and masters alike. His intros are succinct; they provide a historical context, and distill most of the main points of each reading into a short, interesting, and easy to digest summary. The selected texts provide the reader with a good definition of some of the historical and contemporary differences between different schools of Art History and Art Criticism. The methods provided in this book are applicable to any humanistic discipline. While not totally comprehensive, the material presented does give an excellent starting point for further excursions into art historical methodology. That said, Fernie does allow some of his own biases and methodologies to colour some of his introductions, and the selections of representative texts. The critical thinking of his readers needs to be applied to these aspects of the book, as much as the texts presented. However, all in all this is an excellent "History of Art History". I reccomend this book highly to "students" (of any kind) interested in a higher understanding of art, art criticism, and historiography. The prospect of a book filled with extracts from some of the greatest art criticism written may not fill every one with excitement, but when this is the book, it should. Eric Fernie has collected the major works of the most important art historians and critics, all translated in to English. With each he adds a slight biography and handy pointers as to what the aim of the writer was. It is true that these are just extracts (in some cases, like Goethe, it is the whole of the piece) but they give you a taste of the whole, without leaving you confused. Apart from the actual writings, there isa very handy guide to "buzz" words and terminologies, as well as theories from the world of art and philosophy, so if you do get lost, you have a map to refer to. The format of the book is good too, being arranged in such away that it is almost a text or reference book: you have a well designed index which allows you to dip in and out with out getting bemused or frustrated. This book is a good introduction to the world of art criticism. If you ever read reviews of artists or exhibition and get confused by the terms used or people mentioned, it is likely that a look and then read of this book will make everything clearer, or distract you so much that you forget. Though this group of works may appear boring at first, it is not because Fernie's mini-biographies and explainations make it all clear: bordom soon becomes interest when the fear of getting lost among the technical terms is taken away. A good introduction to art history and criticism, and the more general world of philosophy. I bought this book because I wanted an anthology of "the best," classic articles on a variety of fields and from a variety of critical viewpoints, hoping to use it for my introductory art history course.Butnot only could one quarrel with the choices here, but the articles areabridged almost to the point of incomprehensibility and the footnotes areleft out.This makes the collection unrepresentative of what it purportsto be about, and useless in the classroom. For 40 years this widely praised work has remained unsurpassed as an introduction to art in the Western world. And now-with a more contemporary, more colorful design and with 30 percent more color illustrations than in previous editions-this newest update of the Janson classic is an enticing volume. The book features improved sections on ancient art, modern architecture, Mannerism, and Romanticism. Revised material on the late Renaissance reassesses the religious paintings of Rosso, Pontormo, Savoldo, Correggio, and Tintoretto. A primer section features an introduction to basic terminology and concepts of art history. 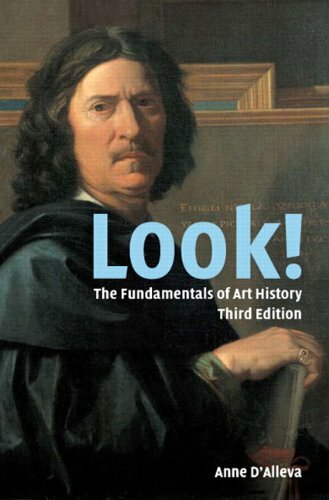 The best art history book for young people ever. Out of print, but there are several available on that great web catalogue called amazon.com. Better hurry. I borrowed the 5th edition from the library, and it worked perfectly with our study of Egyptian and Greek history. I was unwilling to continue borrowing the book from the library, so fortunately I was able to buy the 6th edition from Amazon. I'm looking forward to years of usefulness from this informative book. Next stop: The glories of the Roman Empire. The copy we received was a third edition, and it is very nice.Lots of information and nice photographs of the art.I have looked at the fifth edition in our local library, however, and I would say it is a great improvement.Some expanded sections, and more color photographs.All in all a great introduction to art history for kids or adults. Best art history reference for most people.. This is a wonderful book and, in my humble opinion, a better book for most users than the big textbook edition "History of Art". The only complaint I have about this edition is its name; I feel it should be titled "History of Art: Concise Edition" as "History of Art for Young People" makes it sound too much like a children's book. While certainly suitable for an intelligent child, it is a superb art overview and reference for all people. If you desire a general art reference you won't go wrong with this gem and you'll not find anything better. I have the 3rd edition also and it is excellent but this 6th one is greatly expanded (e.g., lots more photos and color) while retaining the user-friendly nature of the earlier editions. The text is clear and interesting, not written in the dry, boring style of a textbook. The printing and reproductions are top-quality. This art book is truly itself a masterpiece! For thousands of art lovers both amateur and professional,aesthetic life began with Janson, as H.W. 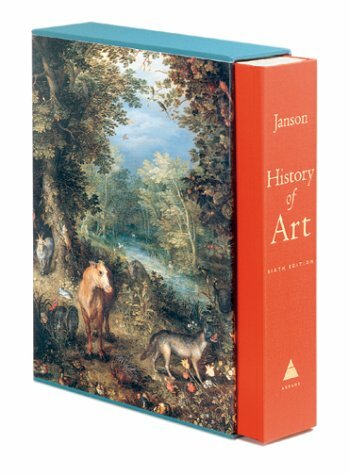 Janson's Historyof Art is often called. In the first edition, published in 1962,Janson spoke to that perennial reader he gently called "the troubledlayman." His opening paragraph revealed his sympathy: "Why is thissupposed to be art?" he quoted rhetorically. "How often have we heardthis question asked--or asked it ourselves, perhaps--in front of oneof the strange, disquieting works that we are likely to find nowadaysin the museum or art exhibition. "Keeping that curious, questioningperspective in mind, he wrote a history of art from cave painting toPicasso that was singularly welcoming, illuminating, and exciting. After H.W. Janson died, in 1982, his son, Anthony F. Janson, took overthe daunting task of revising his father's book. Janson the elderwould be thrilled with the beauty of this fifth edition, which tipsthe scales at more than seven pounds. Thanks to advances in printing,it teems with reproductions--736 in color and 500black-and-white--that would have been far too costly 35 years ago. Atan even 1,000 pages, it is an inch thicker than its 572-pageprogenitor. What is art ?Those that are interested in getting some answers to this question should read The History of Art by H.W. Janson. This book is considered the bible of art in colleges since the first edition came out in 1962. And it doesn't stop there. 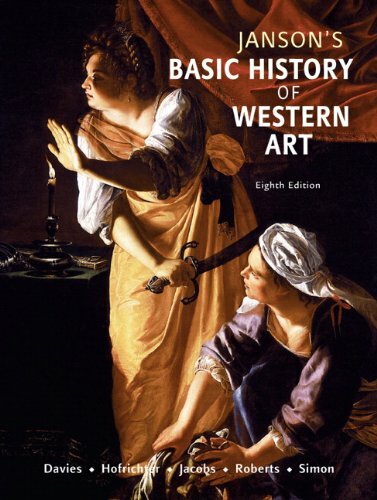 Now we have the sixth edition published in 2001 with almost 1000 pages which is an even more complete survey of Western art. After his father's death, Anthony Janson, took over and now there are more illustrations than ever. 865 beautiful color reproductions and 388 black and white photographs accompany the very reader-friendly text. Both authors ,professors and teachers of art history, have madelearning about art an adventure. It starts with the cave drawings and chapter by chapter we become familar with the development of art through the ages until present time. An improvement is also that more women artists are included, and there's more extensive information about modern art, plus many timelines to make looking up certain periods easier. The book is very pleasant reading, the illustrations are stunning. I highly recommend it to those who want to learn more about art. I'm reviewing the "5th Edition Revised," Published originally in 1991 and again in 1995 and 1997 by Harry N. Abrams, Inc.
All the created visual arts are included here: architecture, sculpture, photography, painting, etc. The entire work is bulging with spectacular color photographs (and some black and white pictures as well) of all periods and art forms under discussion. Detailed biographies of the respective artists have also been incorporated into the text which reads very fluidly. H. W. Janson (1913 - 1982) first published "History of Art" in 1962 - it has sold over two million copies in various languages. Janson was born in St. Petersburg. Following the early phases of the 1917 Russian Revolution his family moved to Finland and then to Hamburg where Janson ultimately attended and graduated from the Wilhelms Gymnasium. He subsequently studied art history at the University of Hamburg. In 1935 Janson immigrated to the United States where he completed a PhD at Harvard University in 1942. Co-author Anthony F. Janson also wrote History of Art for Young People (Trade Version) (6th Edition). In summary, one could hardly find a more inclusive or authoritative text on art history and I found this work to be as impressive in design and layout as it is informative. the book itself is a well written, but the company poorly describes the quality of the book.there was no slip case and binding was taped together.all the pages were included so it is the complete book, but definitly not new. As a student of History during my university days I inevitably came into contact with Janson's benchmark book. I certainly have not been alone in that regard. As with many books in my home library I seek out different editions of many titles. Trends, new revelations and often time re-examination of works come to fruition and result in a new edition being published. Art seems to have branched out into other forms of acceptable expressions and this edition has included those affinities when compared to my first lowly copy. This is a welcome trend indicating that ART is alive as one looks back and then turns toward the future. Janson's History of Art is an art history book from the old school.Though there have been strides for the past few editions in making this book more inclusive it doesn't really compare to newer comprehensive books.Janson's book also suffers from the old art historical practice of talking about 'masterpieces' and 'genius'.As of the 5th edition the book includes very very little non-western art.It has a small section on "ethnographic" art that refers to the arts of Africa, Americas, and the Pacific islands.This chapter has to be one of the worst reviews of non-western art I have ever seen.The arts of Asia are not touched on at all.The book really should be called History of Western Art. Designed to guide learners through the often disorienting experience of taking a first art history class, this book addresses all aspectsof that total experience. KEY TOPICS Specific chapter topics cover note-taking during lecture, studying for and taking slide exams, writing response papers, methodology, how to critique secondary scholarship, and what to do with an art history degree. For individuals with little or no experience in art history, and an interest in the powerful images that can provide a rich perspective on social, political, and cultural history. How to view art as an artist does. Every field has its own set of terms, concepts and tools that help the profession make sense and clarity of their discipline. This book gives the mile high view of how to approach art from the point of view of someone actually looking at art as more than a casual admirer. Written by leading scholars at the forefront of new thinking, many of whom are rising stars in their fields, the Oxford History of Art series offers substantial and innovative texts that clarify, illuminate, and debate the critical issues at the heart of art history today. This groundbreaking series makes use of new research and methodologies, as well as newly accessible and non-canonical works, to offer comprehensive coverage of the art world. Lavishly illustrated and superbly designed, the Oxford History of Art brings new substance and verve to the exciting and ubiquitous world of art. The latest addition to the series is a pioneering overview of the visual cultures of Eastern Europe in the modern age. Here, art historian Jeremy Howard challenges traditional definitions of what constitutes "European" art and embraces the whole spectrum of art creation, including painting, sculpture, architecture, the applied arts, photography, and performance. Avoiding conventional art historical divisions, Howard focuses on the many hidden relationships between the different art forms and artistic cultures that flourished in the vast region known as Eastern Europe, and how these cultures inter-related with the wider world. In addition to the rise and fall of the two great art academies in Vienna and St. Petersburg, Howard examines the blending of migratory and sedentary cultures in the region, the role of women, and the political manipulation of the image. He brings to the fore many overlooked artists and concentrates on neglected elements of work by better-known figures. Throughout, he reveals how the Habsburg, Romanov, and Ottoman empires vied with one another through art and how individuals and nations strove to maintain and realize their voice through visual language. 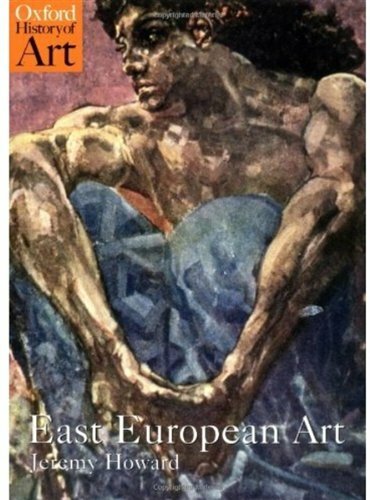 Howard seeks to redress a longstanding underappreciation or neglect about eastern European art. Outsiders to this region often have little knowledge about its greatest artists and their accomplishments. In this account, some of our ignorance is dissipated. One example is the Russian painter, Mikhail Tikhanov. Whose painting, "The Execution of Russian Patriots by the French in 1812" is rightly compared to the far better known "The Executions of the Third of May" by Goya. The resemblances are striking. But Tikhanov's predates the Goya work by a year. It is unclear from the text if Goya knew of Tikhanov's painting before commencing his. The Goya work is often shown, not just in art books, but also in history texts of the Napoleonic era. Yet, outside Russia, Tikhanov's painting rarely appears in those texts.